Helinox Chair One. For those wanting a little more room in the seat, the Chair One Large has just that. 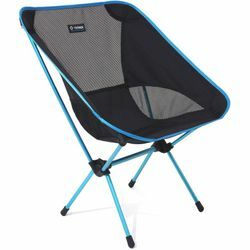 Like the original, this chair is built with a super strong pole frame, shock-cord system, and packs down into an easy to carry case. Comfort at camp just a little more roomy.